Building Inspectors & Septic System Professionals are a MUST But wait! Is there anything more that you can do, should do, or must do to ensure that you've made a good investment? The answer is absolutely yes! 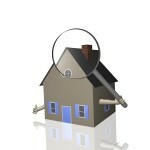 Having Professionals Inspect Your Furture Home Can Save You Money! General Building Inspection - depending upon the size of the building, garage and number of out buildings this can cost anywhere from $300 to upwards of $500. For most properties the cost is $350 and takes approximately 2 hours. The inspector checks absolutely everything in and around the outside of the house, looking for any signs of wood issues, appliance issues, electrical, plumbing, roof, foundation, and generally all possible safety issues. Sewage Disposal - If you have a septic system on the property it is wise to have it checked by a professional. Typically the holding tank is pumped and then the inspector will inspect In this the baffles, run water from the house to see that everything is flowing smoothly. The cost can vary but typically it is $250 to pump the system, if it hasn't been done recently, and another $100 - $125 for the written inspection. Water Quality - It is always a good idea to have the water tested, especially if it is well water, as there could be contaminants that are of health concerns. Some of the contaminates, such as bacteria, radon, iron, lead and arsenic occur naturally. Others such as pesticides, chemicals, road salt, improper waste disposal and other contaminants can find their way into the soil and water supply due to improper handling. The State of New Hampshire has a list of certified labs, visit des.nh.gov. Also check out Water Quality Testing for Private Wells in New Hampshire. The standard cost for your water to be tested is $85-$130. To have the water tested for radon , the cost is $80. More on Radon Water Quality in the next blog. See this link for further information on the associated costs and what they test for at each level. In the next blog on "What's the Best Investment You'll Make Prior to Closing a Home?" I'll be continuing the inspection checklist on the New Hampshire Association of REALTORS Purchase and Sales Agreement form. This will include Radon Air Quality, Radon Water Quality, Lead Paint, Pests and Hazardous Waste. Please contact us for more information on any of these topics. 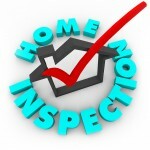 You can also click here for a list of certified building inspectors. Great article. Thanks for the info, you made it easy to understand. BTW, if anyone needs to fill out a standard form purchase agreement, I found a blank fillable form here. I also saw some decent tutorials on how to fill it out.